The programme for the 2018 EPIC Lecture Series is now available to view online, right here at the EPIC website. After successful outreach event in Madrid in 2017, the EPIC Lecture Series moves to London for its third annual instalment, and will take place at Queen Mary University London on Thursday 18th and Friday 19th October. As such, the EPIC Lecture Series is curated and structured to attract undergraduate and postgraduate students of sciences and engineering with particular emphasis on space. Students of Space Engineering courses are highly encouraged to attend, and students of the wider sciences such as physics and chemistry who have an interest in space will also find the lectures a highly interesting introduction to the realm of electric propulsion. What’s more, students will also be able to hear from Alan Bond, formerly of Reaction Engines and one of the godfathers of space propulsion technologies in the UK, whose work over 30 years has formed the foundation of much of the current developments in propulsion and access to space technology. 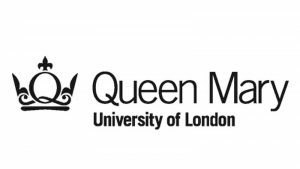 The event will take place in the Engineering and Computer Science Faculty of Queen Mary University London, Mile End Road, London, E1 4NS. There will be signs displayed at the event to the Octagon Hall, where the event is to be held. We understand that it may be difficult for students to travel to attend the event, particularly if you are travelling from outside London. However, it may be worth asking your own department for travel related expenses to attend the event, especially if it relates directly to your course.